We at Cashbacker believe in making online gambling a bit fairer by bringing some great deals on casino cashback. These kind of deals mean people can enjoy the games they're playing a bit more without worrying too much about whether they're winning or losing. Plus, cashback on games like these mean that players feel like a winner every time, even if they lose. It seems Bgo Casino like to share this feeling too; to celebrate New Years, then to share the love with Valentine's Day, now we can only presume it's the St Patrick's feeling as for the third time in recent months, they're giving cashback to thier players too! Until Midnight on Thursday, The Boss is putting quite the rewarding spin on his Prime Roulette tables by offering players 50% cashback on bets up to £100! We wish all of our players the best of luck, and we never want them to lose but as in most games, there must always be wins and losses. But by heading over to the Prime Roulette tables at Bgo, your wins and your losses will be all wins! All you have to do is stake at least £5 on the table, and if you find the ball lands on zero, don't worry because you'll pocket 50% cashback! What's even better is that you don't have to worry about having to play through any cashback you get with this promotion, as the cashback you receive will be automatically credited into your cash balance the next working day! This promotion is valid daily from 18.00 - 23.59 from Monday 12th March until Thursday March 15th. Customers making their deposits with Neteller or Skrill aren't eligible for this offer. 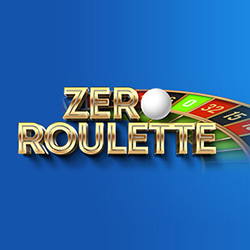 Valid on Bgo's Prime Roulette table only. Minimum bet of £5 required to qualify for this promotion. This offer entitles players to 50% cashback on losses up to £100, per round, if the ball lands on zero. Only players sitting at the table when the ball lands on zero are eligible for this offer. Anyone placing theirs bets on zero don't qualify for this offer. There is no limit to the amount of times a player can receive cashback within the promotional period. Bets placed with a golden chip don't qualify for this offer.